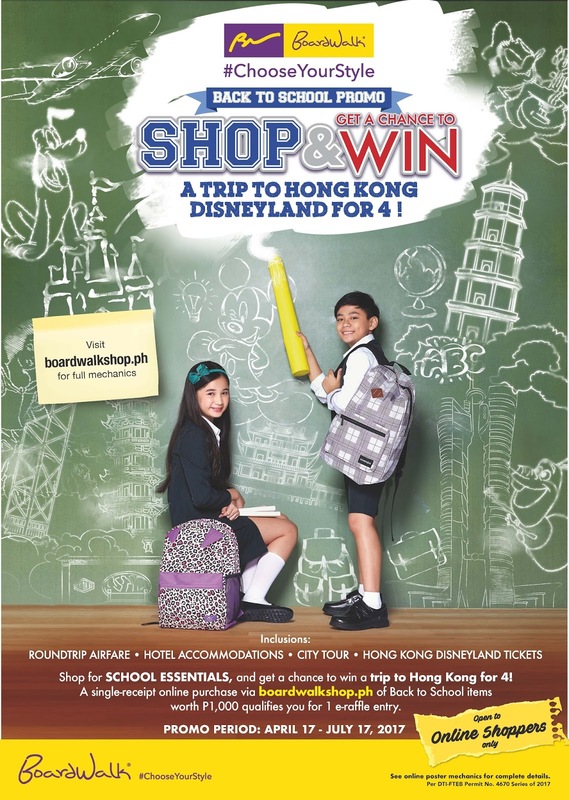 Boardwalk gives you and your kids a chance to make your Hong Kong dream trip come true in its Back To School Shop and Win Promo. 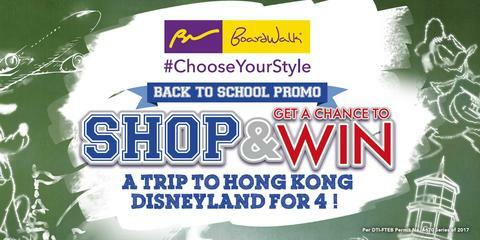 Every Php 1,000 purchase of Boardwalk regular back-to-school items at boardwalkshop.ph entitles you to an e-raffle ticket for a chance to win a trip to Hong Kong for four (4) persons. Not only are the plane tickets and hotel accommodation free but also 1-day pass tickets to Hong Kong Disneyland, and a paid city tour so the whole family can see the sights at the City of Life! Don't you want your kids to see The Peak, shop at Temple Street Night Market (oooh, check out what I wrote about our food trip at Temple Street at OurFoodTrip.com) and Ladies Street, and watch the Symphony of Lights at the historical Clock Tower? What are you waiting for? Shop now at boardwalkshop.ph to join! Promo period is from April 17 to July 17, 2017 only. Check out the full mechanics of the promo at the site, too. Best of luck!